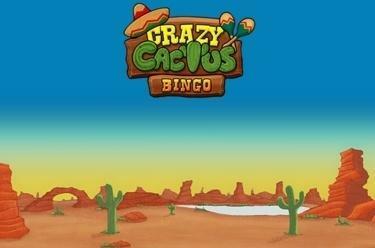 Play Crazy Cactus Bingo online for free now! A dancing cactus under the Mexican sun, 30 bingo balls and 12 winning patterns - this cocktail ensures a hot Fiesta with endless chances to win with Crazy Cactus Bingo! If you then land a ‘Bonus’ or even a ‘Bingo’ the party is then guaranteed to get going: Because the Twist rush is sure to happen in the Sombrero bonus game. With ‘Latin Bingo’ you get to experience the entertaining numbers slot in a South American slot machine variant. Get the pre-determined winning patterns on up to 4 bingo cards! 30 bingo balls are drawn after placing your stake. If they form any of the winning patterns on your bingo cards you win! With further bets you can then call up to 10 further bingo balls in order to further bolster your winnings. If you have all of the numbers on a bingo card (‘Bingo’) or have achieved the ‘Bonus’ pattern, the Crazy Cactus Bingo Bonus Game starts with further chances to win! Just click on the Sombreros to fish the underlying instant wins. Once you uncover an ‘End’ the bonus game ends and your winnings will be credited to your player account.